Journalists continue to come under pressure from police and protesters in Brazil, according to a report released on 8 April. Just days after the report, two journalists were targeted by police during the forced eviction of a Rio de Janiero favela. Attacks on journalists increased 232 percent according to the study commissioned by federal authorities. The report found that there were 41 cases of violence against media workers in 2012, rising to 136 in 2013. The report, prepared by the Council for the Defense of the Human Person (CDPH), said the rise in violence can be attributed to the mass protests that began in June 2013 against transport fare rises, corruption and the amount of money spent on preparation for the FIFA World Cup 2014. Since 2009, Brazilian media workers have been the victims of 321 attacks involving violence. Eighteen journalists have been murdered in the same period. 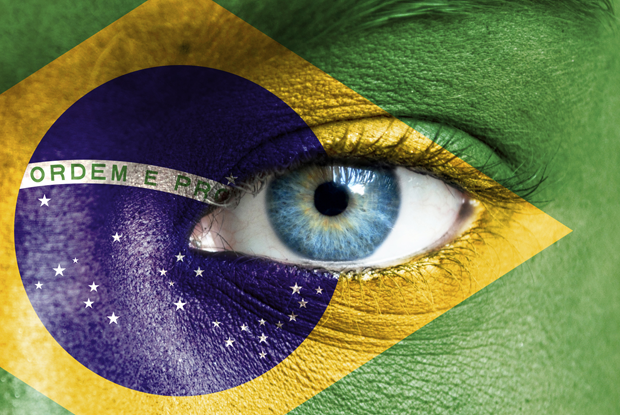 As a result, Brazil is among the most dangerous countries in the world to be a journalist. The report concluded that “impunity and a lack of criminal responsibility for perpetrators of attacks on freedom of expression have contributed to the increase in violence”. It also highlighted the dangers to journalists and demonstrators from police during mass protests. The cases of journalists Mauri Konig and Andre Caramante were referenced, both of whom received death threats for their work. Konig was forced into a two-month exile in Peru because of his coverage of illegal police activities in the Brazilian state of Parana. Konig, who has since returned to Brazil, has said he will stay away from police coverage. Caramante was also forced to leave the country and go into hiding after he and his family were the subject of threats. Caramante’s situation worsened after the publication of an article exploring the election campaign of a retired military police colonel and Sao Paulo councilman. Caramante was later fired by Folha de S. Paulo. The most recent incidents against the press took place Friday, 11 April, when journalists were covering the forced evictions of residents from the Telerj Favela, at Rio. Journalist Bruno Amorim was roughed up by a police officer, who accused him of inciting violence through his reports. Protesters also attacked the press, setting fire to several marked media vehicles. Another reporter – O Globo’s Leonardo Barros – was ordered to leave the area or face arrest. The operation ended with more than 20 arrests and three children were injured, according to sources. The country’s environment for freedom of expression “worsened dramatically during 2013 and the first months of 2014” according to a second report, Press Freedom in Brazil – October 2013 to March 2014, which was presented in February at Sociedade Interamericana de Imprensa. That report found that there were 4 deaths, 66 cases of aggression, 2 cases of judicial censorship, 6 threats, 1 attack, 1 arrest and 3 cases of intimidation in Brazil during the six months it covered. “The cases of unpunished murders of journalists and other press professionals continue to be the most serious issue” facing the Brazilian media, the report warned. The authors found what they called “cause for alarm” in the persistence of judicial censorship practised by magistrates”. The text states that it is “noteworthy that the censorship applied to the newspaper O Estado de S. Paulo on 31 July 2009 has not yet been subject to final decision”. In an especially severe episode cited by the report, Santiago Andade – a cameraman for the Banderantes Network, died in February after being hit by a rocket. The press freedom report went on to warn that incidents like the ones that claimed the lives of Andade and three of his media colleagues could take place during the World Cup. The report also detailed how the ANJ met with Brazil’s minister of justice Eduardo Cardozo to ask for concrete measures to halt the attacks on journalists. The minister recognised “the seriousness of the situation” and promised to take steps to create a protocol for police to use during street protests. Simone Marques is a Brazilian journalist, translator and writer. Marques has been published by Deutsche Welle and contributes to nonprofit organizations in the area of human rights.